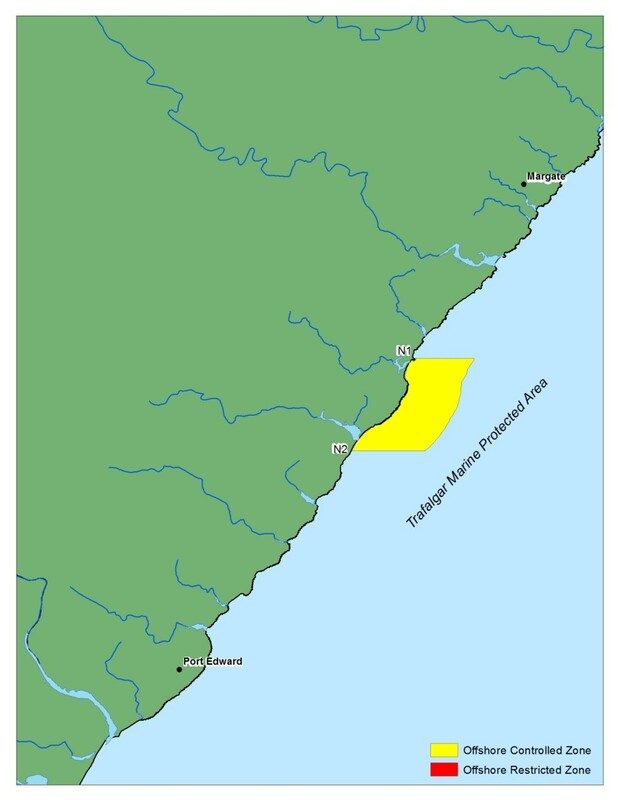 The Trafalgar MPA is made up of 6km of coast on the Kwazulu Natal south coast extending 500 metres out to sea. Part of the MPA is adjacent to the Mpenjati Nature Reserve and, together, they form a protected area including sandy seabed, seaweed covered rock reefs, intertidal zones, sandy beach, coastal fore-dunes, dune forest, estuary, salt marsh and freshwater wetland, containing the ’palmiet’ ledge and ilala palm grassland. No other protected area in KwaZulu-Natal has such a diversity of habitats in such a small area. Access to the reserve is via the village of Trafalgar or on foot through the Mpenjati Reserve. Other features of this MPA are the fossilised Cretaceous trees which are embedded in the rocks and can be seen at low tide in the intertidal zones close to the access point.